The county borough of Croydon came into existence following the Local Government reforms of 1888-90, giving the town administrative independence from the County of Surrey. This also resulted in the need for the Borough to seek it’s own arrangements for housing the areas lunatics. An arrangement for such accommodation was reached for a five limited period with the London County Council, new owners of the Cane Hill asylum at Coulsdon which had also previously housed inmates from that area. With the continued development of Croydon at the end of the Victorian era, the population expanded and the continued use of Cane Hill became untenable, it’s space being required already by the vast numbers of un-placed London lunatics. Plans were in place by 1896 to develop a new asylum under the sole ownership of the County Borough, with potential to lease space to other authorities. A site was purchased to the east of Chelsham and a competition for designs was released to prospective architects. 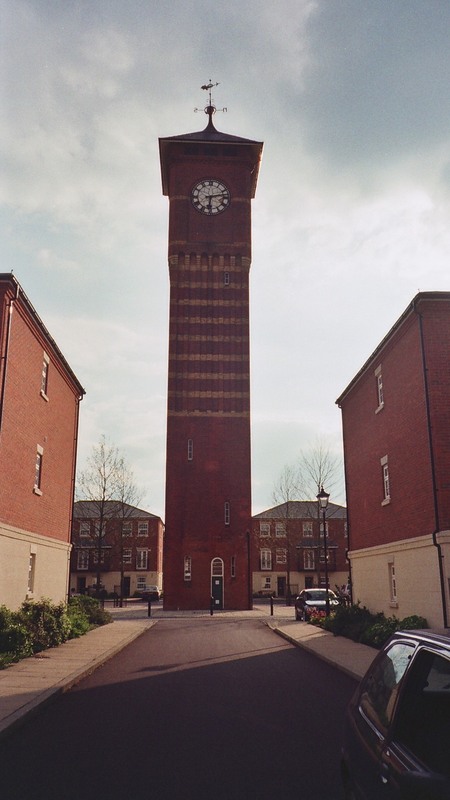 Those chosen were submitted by the Bristol partnership of Oatley and Skinner who had already implemented considerable extensions and alterations to that City’s existing asylum. Their designs for Chelsham followed the recently developed Compact Arrow format of echelon plan, consisting of 3 male and female blocks placed either site of the central administrative, recreational and service areas. 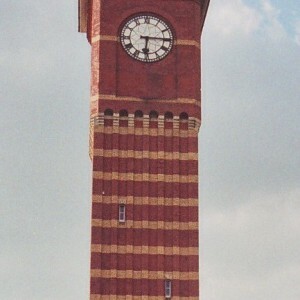 Workplaces, as usual were situated closest to the appropriate type of patient and a 130ft water tower, decoratively banded and with a clock face on each side dominated the complex. Buildings were of red brick, with large double hung sash windows and grey slate roofing. The grounds featured decorative airing court shelters and farther afield were located residences for the senior officers and a large chapel with a burial ground to the north. At the south western boudary of the site stood the main gate and attendant lodge, with a service entrance, farm complex, bailiffs house and cottages for married attendants situated further north. Close to this entrance stood an isolation hospital to accommodate inmates found to have infectious diseases. 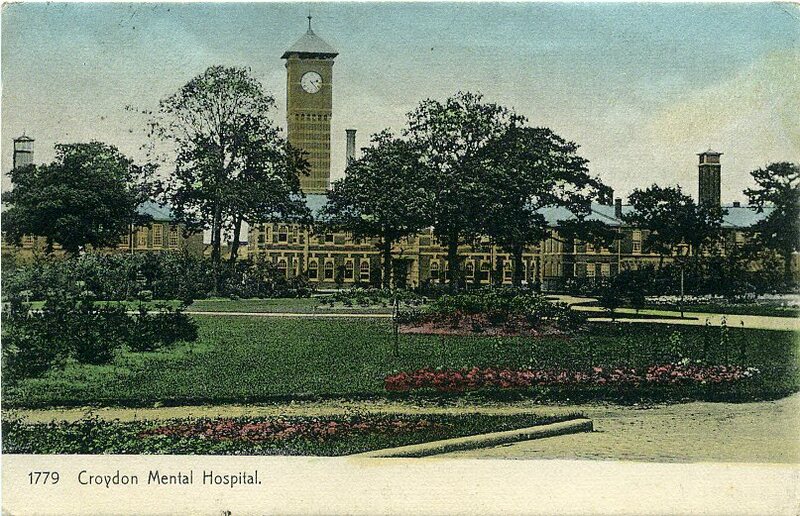 The asylum opened in 1903 and enabled a transfer of Croydon inmates from the contracted places at other asylums. The requisitioning of institutions for military use during World War I saw many patients displaced from asylums around London and the South East relocated to Chelsham, although these were returned to their previous sites after armistice. Extensive and ambitious plans were devised to expand the hospital in the 1920’s and 30’s. Those coming into fruition before World War I included a nurses’ home, two further blocks for female patients and four villas for male and female working patients. 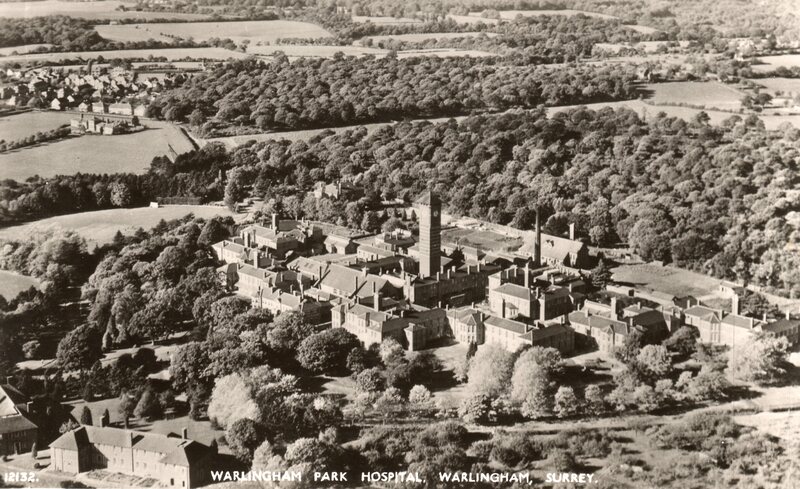 The hospital gained a new identity as Warlingham Park, despite being closer to Chelsham, than Warlingham itself. 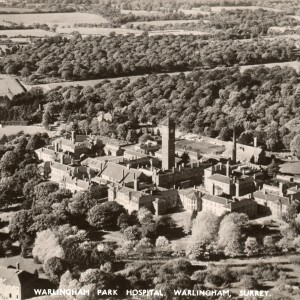 Warlingham Park was hailed as one of the leading hospitals in developing new treatments and revolutionising patient care before and after World War II under the superintendence of Dr. Thomas Rees . An open door poilcy was implemented throughout the hospital, airing court fences were removed, and the concepts of therapy and rehabilitation were greatly expanded. The hospital became the first in the country to provide a specialist regional unit for alcohol and drug dependancy named after Philipe Pinel and located within the old isolation hospital. 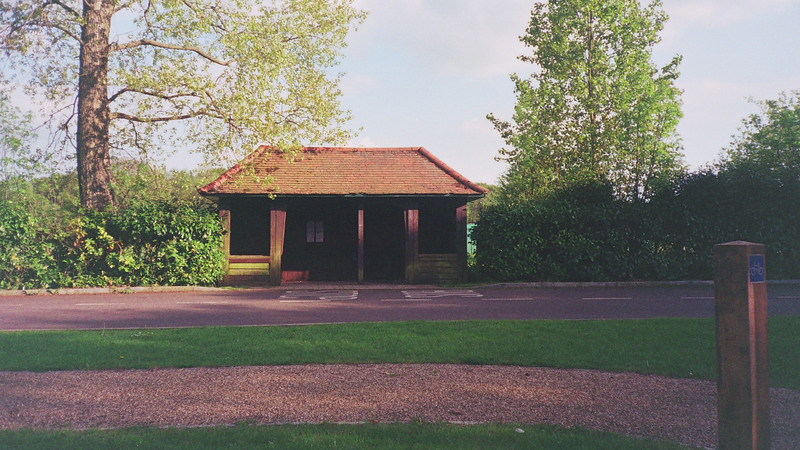 The detached chapel, sited to the north of the main services was destroyed by fire in 1966, and was subsequently demolished. The hospitals former catchment area gradually expanded under NHS ownership, but was always firmly based around the Croydon area, itself becoming a borough within Greater London from 1965. The policy aiming to close the majority of long-stay mental hospitals did not exclude even the more pioneering institutions such as Warlingham Park, and gradually numbers of beds were reduced as patients were resettled within the community. This was further assisted during the 1980’s with a renewed ‘Care in the Community’ policy. Neighbouring institutions, such as Cane Hill, Netherne closed and Warlingham Park was linked with Bethlem and Maudsley hospitals with the merger of their respective trusts. 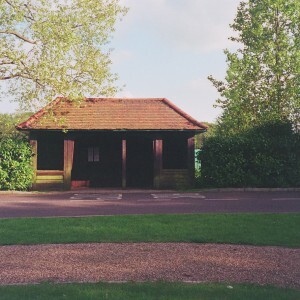 Closure was already in progress by this time, and the merger enabled some remaining services at Warlingham Park to be more conveniently relocated to the other, more urban institutions, assisted by the sale of the site for development. With these in place, the hospital closed in 1999. Following closure, the hospital site was redeveloped for residential use. 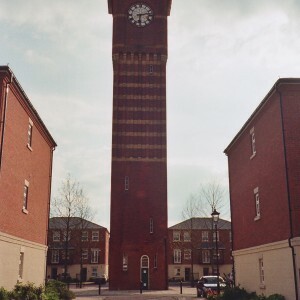 The complex was refused listing, with only the water tower gaining Grade II status and all other buildings were subsequently demolished. A gated executive housing development occupies the site and incoprporates the tower as its centrepiece. The former staff cottages on Harrow Road are now in private residential use. Where have all the Medical records gone to when this hospital closed down in 1999 please. See the “related info” tab on the Warlingham page.